Above is a photo of part of my family’s Thanksgiving dinner spread. 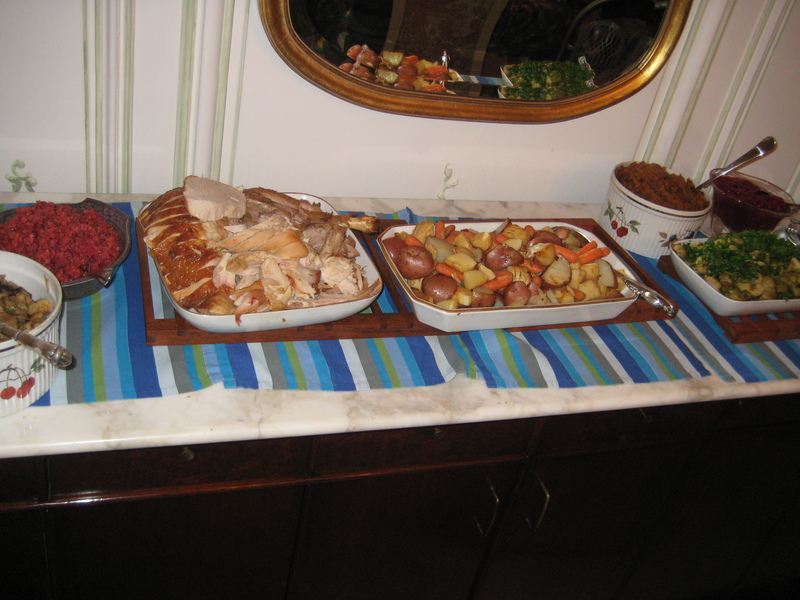 Directly to the right of the turkey is the roasted root vegetables I made. It is super easy to make and is great for feeding many people. Another great thing is that you can easily pick and choose what you put into the dish. Cut all bigger vegetables into 1 inch chunks. Spread throughout a roasting pan and sprinkle with olive oil, salt, and pepper. Toss vegetables. Roast in oven at 375 degrees for about 40 minutes or until tender. Garnish with parsley.